MaimeriBlu pans are still made by hand. In order to ensure that the product is not adulterated with additives or artificial processes which would alter its genuine quality, Maimeri still performs a number of stages in preparation of individual pans by traditional manual methods. Thus the purity of formula and composition that is the true quality of these watercolours is preserved. In designing the palette of 72 colours, preference was given to the pigments offering the greatest transparency, without prejudice, attempting to achieve topcolour quality and lightfastness in the simplest possible way. 52 colours are pure, consisting of a single pigment bound with authentic top quality gum-arabicfrom Sudan and distilled water. 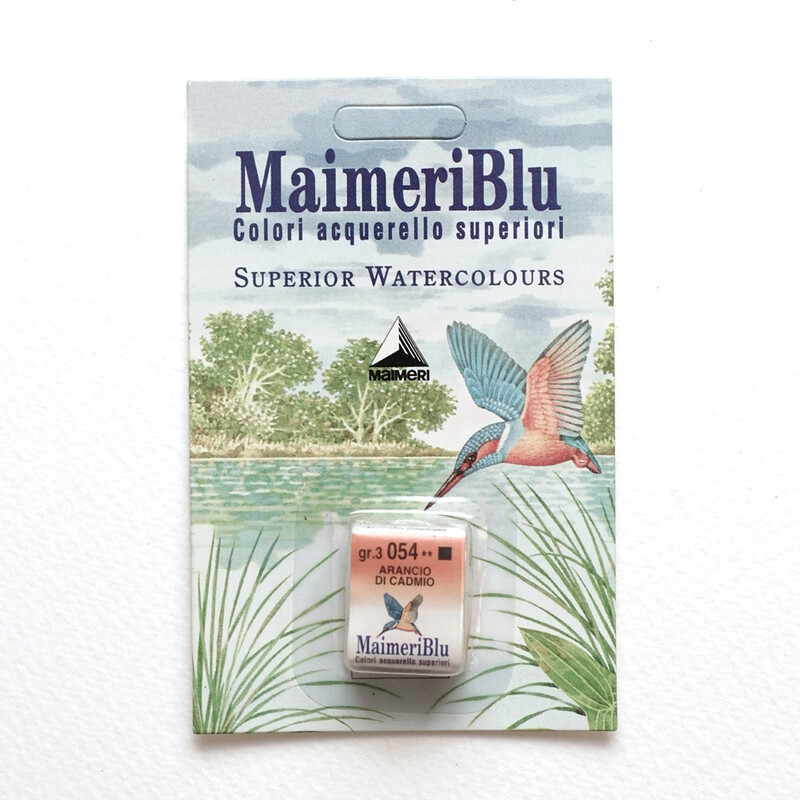 The clear, fresh tone of watercolour painting is the result of the exceptional clarity of the colours. Pure. Simple. Extraordinarily transparent. 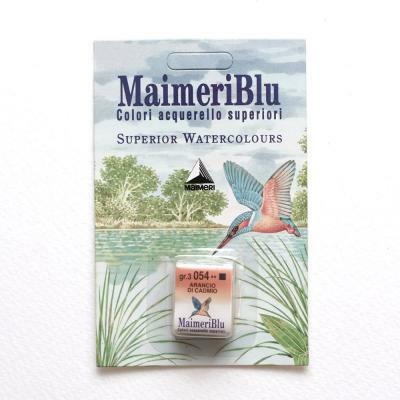 Like all MaimeriBlu colours. Colour lightfastness, opacity and compostion can be found by hovering the mouse pointer over the colours below .